Milk Chocolate Stars and Stripes Candy Bar - Small. Milk Chocolate. Each measures 1.5" x 2". 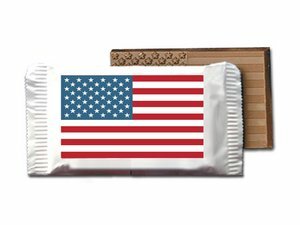 Hand these out at your next July 4th, Memorial Day, Veterans Day, Labor Day or any other patriotic event.